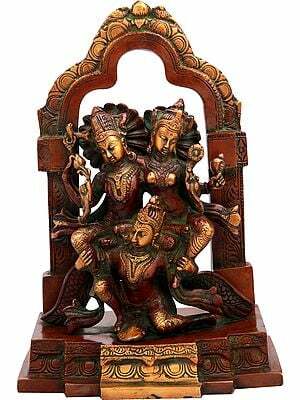 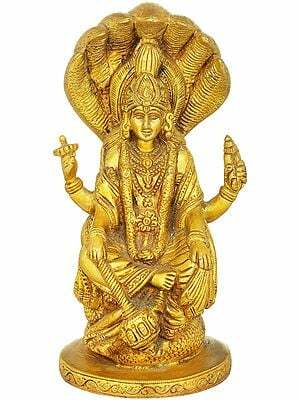 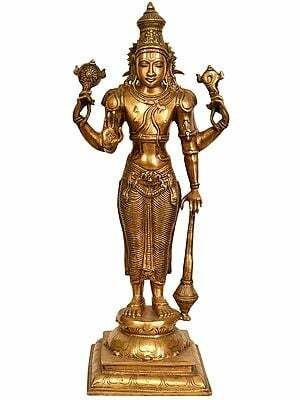 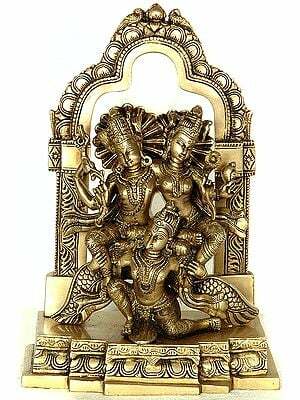 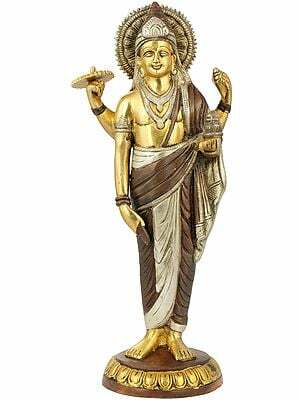 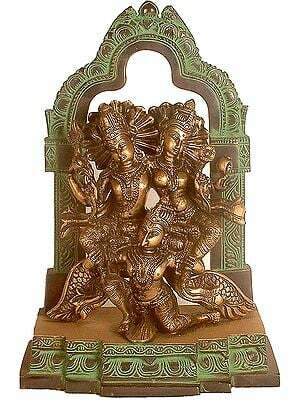 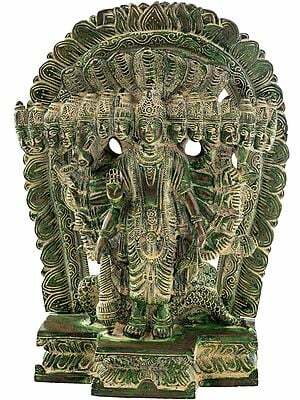 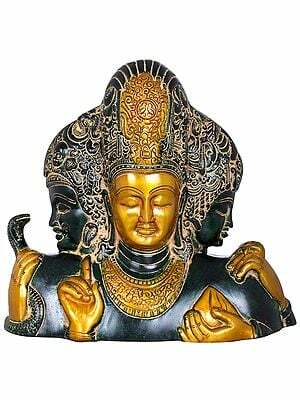 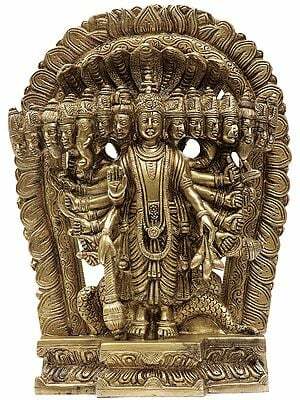 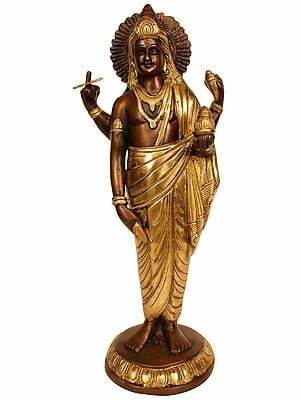 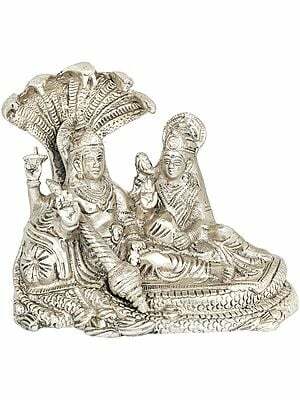 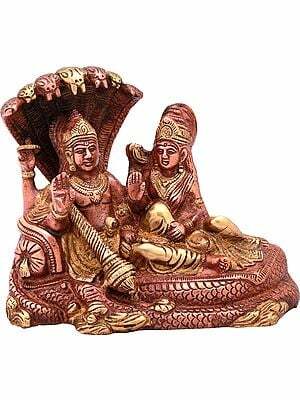 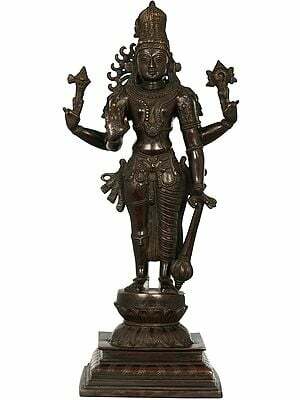 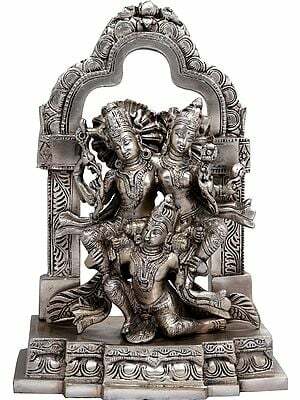 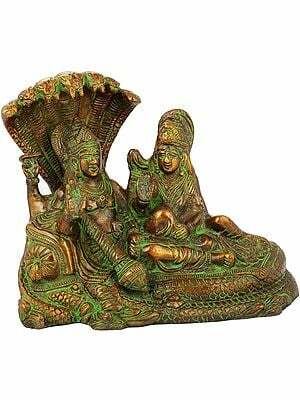 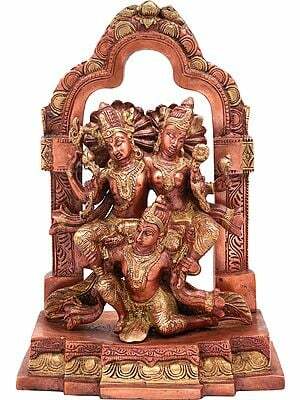 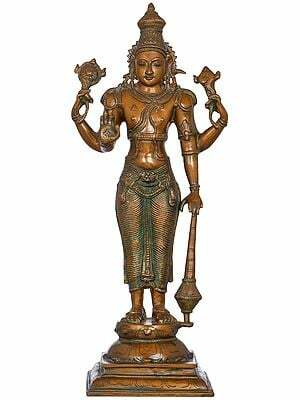 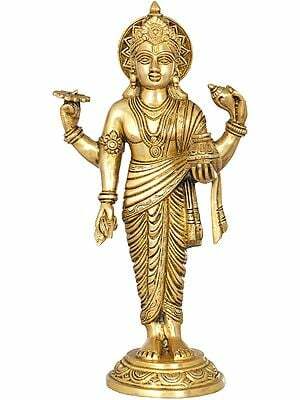 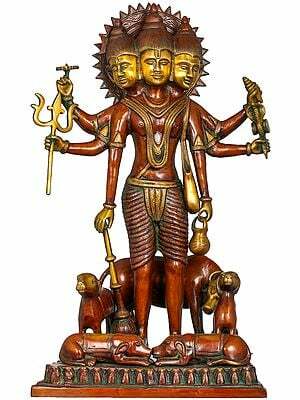 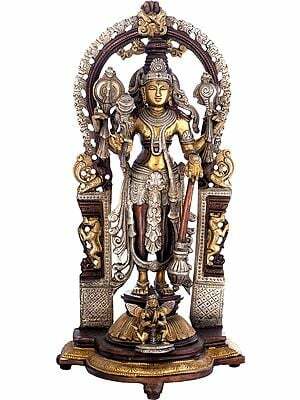 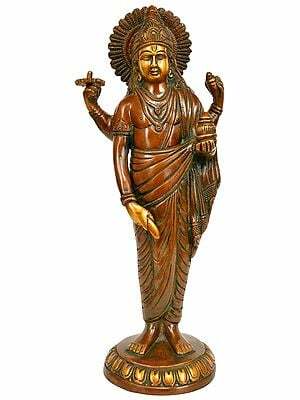 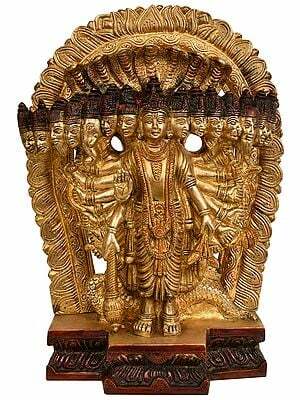 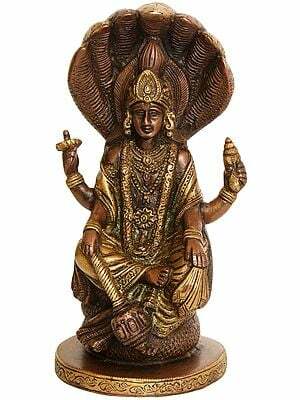 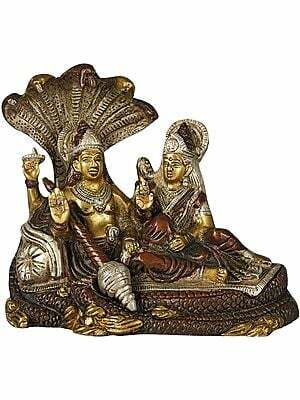 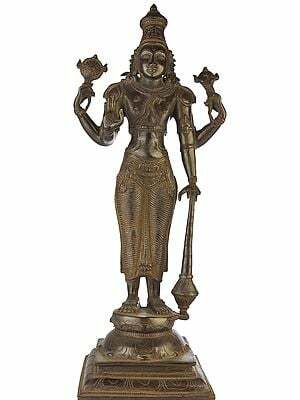 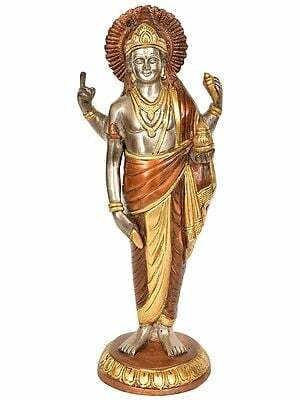 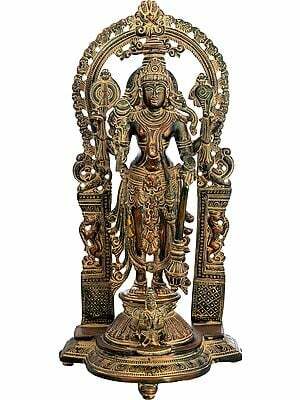 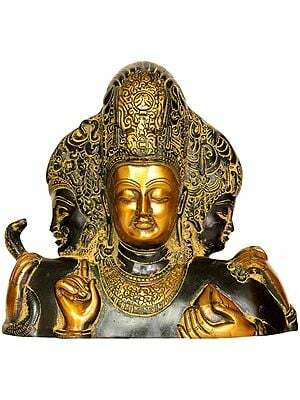 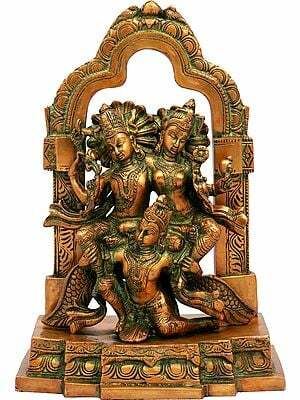 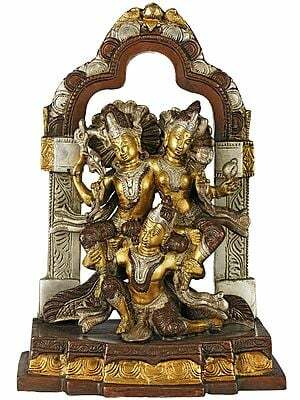 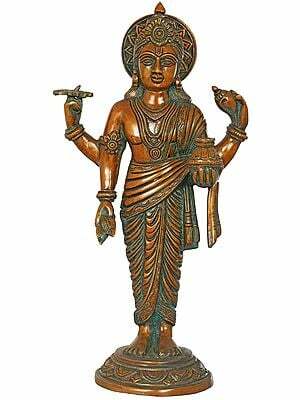 The pervader and maintainer of the universe Lord Vishnu is represented in Indian sculpture most usually as standing straight like a pillar. 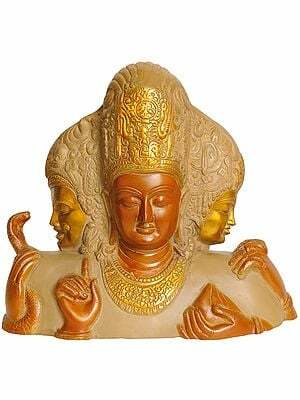 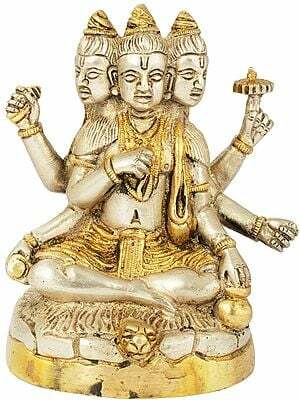 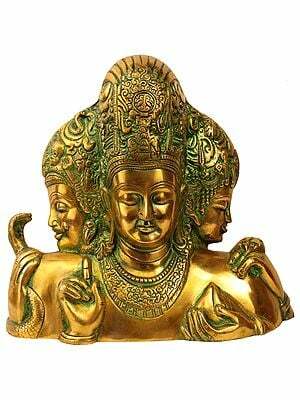 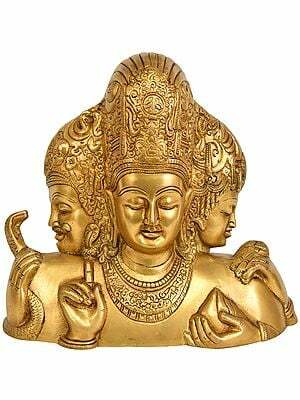 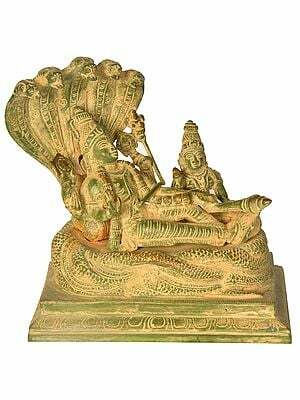 Vishnu's four arms symmetrically hold his main attributes: conch, wheel, mace and lotus. 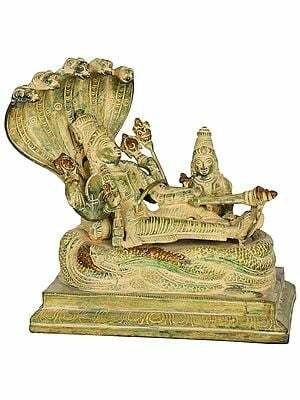 The conch, born from the primordial ocean - with its structure spiraling from a single point, is a symbol of the origin of existence. 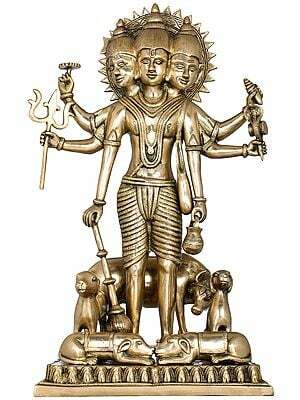 The wheel signifies the cycle of time. 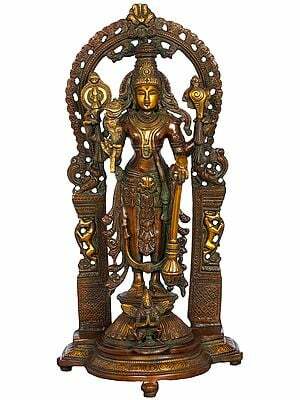 The mace represents the power of knowledge, while the lotus is a symbol of the unfolded universe risen from the ocean of creation. 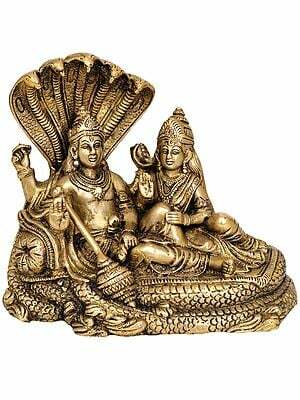 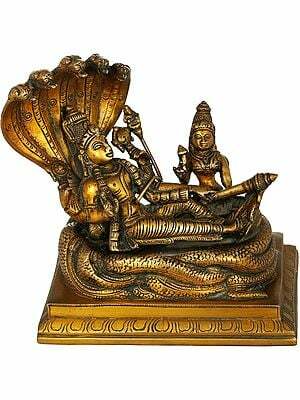 In addition to the standing image of Lord Vishnu, which is an anthropomorphic version of the concept of the cosmic axis, Vishnu may assume two other positions, seated and reclining. 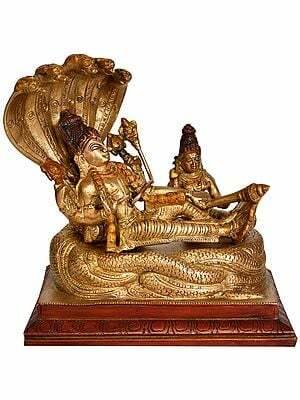 Together, these there postures render the mode of the god’s pervasive presence in the cosmos and during its dissolution, when in yoga nidra Vishnu reclines on Shesha-naga, the serpent whose name means “remainder”. 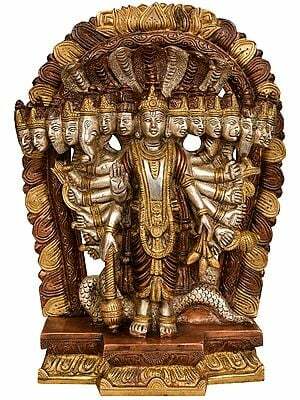 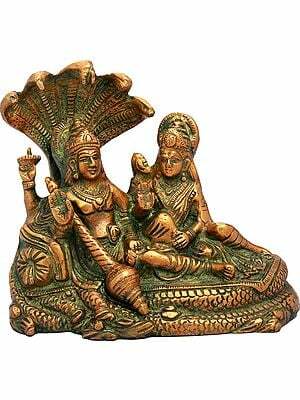 Vishnu also takes avatara, or incarnation. 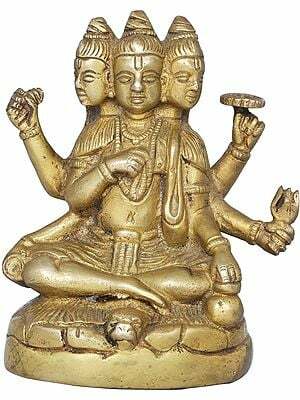 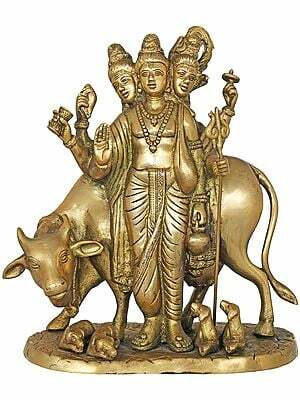 The general purpose of avatara is to bless his bhaktas with an icon they can express their devotion to. 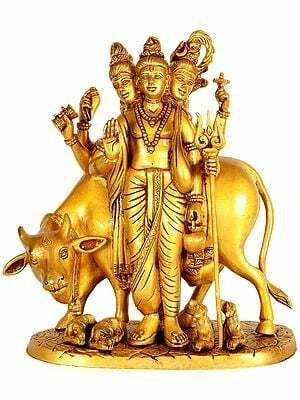 While specifically, each avatara is assumed by the supreme Vishnu for a particular end, as the situation demands. 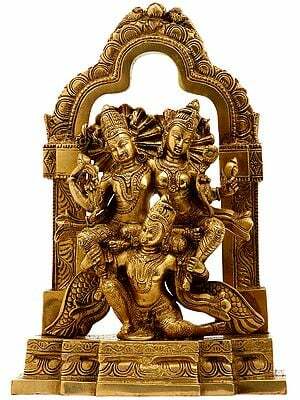 Each avatara or divine descent, though known to have come about at a definite time, remains valid for all times. 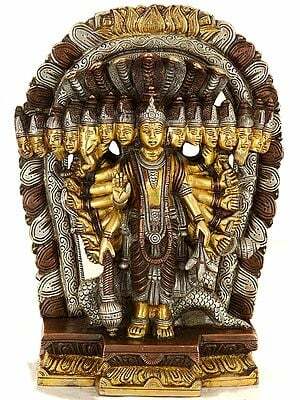 The ten avatars (Dasavatar) of Lord Vishnu are: (1) fish (Matsya); (2) tortoise (Kurma); (3) boar (Varaha); (4) man-lion (Narasimha); (5) dwarf (Vamana); (6) Rama with the axe (Parashurama), (7) Rama, the ideal king; (8) Krishna; (9) Buddha; and (10) Kalki, the savior yet to come.